I have quite a few irons in the proverbial fire at the moment… by which I mean I have quite a few half written or half conceived posts. I’ve been looking into how to protect your online content, do you need to copywrite? Also, how to make money writing from home. I’m also hoping to enter a couple of writing contests. I need a little more research and time on all those topics, so will come back to them later. Today I thought I’d talk about the Amazon Kindle. I got one of these for Christmas and I’ll say up front that I’m sold on it. I wasn’t always though. I’ve been really snooty about electronic books. You can hardly curl up with a flat piece of tech. It’s nice to display your books on shelves, there’s something nice about turning real pages. Yes, I do buy most of my music as mp3’s but I also like to own the cds (how retro of me!). I’m not terribly materialistic, I don’t buy every film I like, I’m happy to pick and choose an artists songs, I don’t have a library of books. Yet I did feel quite strongly that electronic books were a sad sign of the times. But no more! 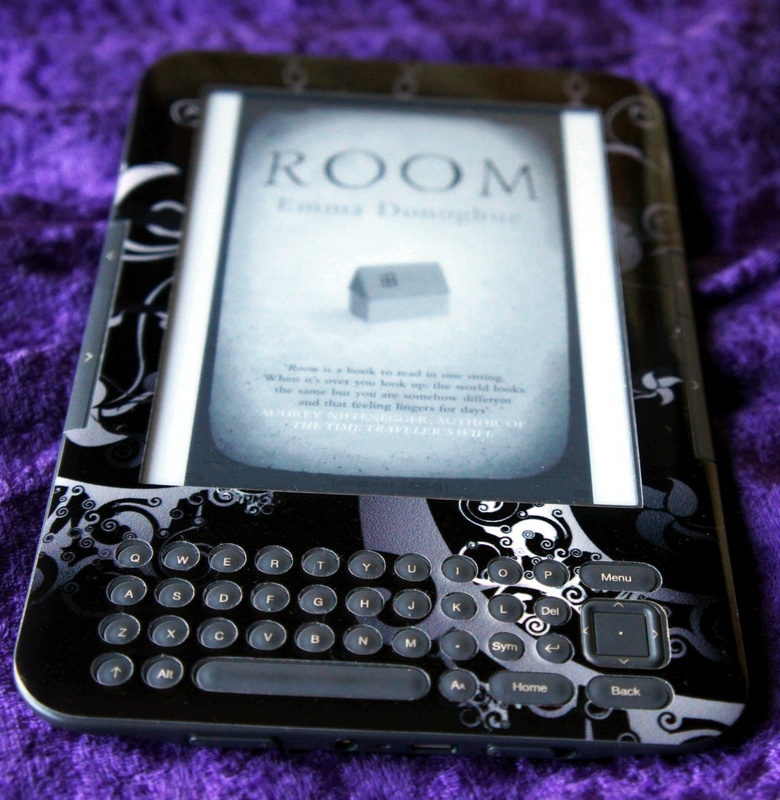 I’m totally in love with my Kindle. Granted it doesn’t feel like a real book, but it’s lighter and easier to read in bed (or the bath). It’s good to be able to increase or decrease font size. The actual screen looks much like a real book, so once you’re immersed in the story, you barely notice it’s a screen and not a page. I love the fact I don’t have to mess around with bookmarks, now, when my daughter picks it up I don’t lose my place and I never have to remember if I’d finished reading on the left or the right. I like that you can see lines that other people have highlighted. A friend recommends a book? Or there’s one you just have to have? You simply download it, no waiting for the post or your next trip into town. Of course, this has it’s downsides, it’s much easier to spend money when you’re not handing over hard cash for real things…but that’s the world we live in these days. It’s not just books though, it’s magazines or newspapers or blogs or pretty much any written word, all in one, handbag sized item. Finally, I was worried because I own an android phone and could read books on that, so would the Kindle ever get a look in? Absolutely. It’s much much easier to read on that than on my phone. But the great thing is, using the Kindle app on the phone I can dip into whatever I’m reading whenever I want even if i didn’t think to bring my Kindle. So, will this be the end of the printed book? I don’t think so. Video did not kill the radio star, but I won’t be using half my baggage allowance on books when I go on holiday any more! This reminds me a little of a scene in Buffy where Jenny and Giles are arguing about books versus computers. Giles talks about books being tactile and having a scent while computers are so cold and impersonal (seriously paraphrasing here). Jenny then insults Giles “stinky books.” Cracks me up every time. I love books. I do love the way they smell, being able to turn the pages, holding them. Not having to charge them. On the other hand, I definitely see the advantage of Kindles and such. I think there’s plenty of room for both in our world. I really wish my college textbooks had been on Kindle…that they’d even had Kindle back then. Those chem books were stinking heavy! Hi Sonia, yeah, that’s a great scene. Yeah, it would be so good to be able to ‘rent’ books for study rather than have to buy them for one course or sign up to a 2 month queue to borrow them at the library and then lug them around all over the place! I’ll never give up books, but I do see the value in electronic ones now. You take your kindle in the bath? I’d kill one in a week that way. I also hate that it gives Amazon even more of a stranglehold on the book market. Hey there Siobhan. Well, I’ve never dropped a real book in the bath so I think I’ll be safe and kindles are much less fiddly to turn pages! But, the flipside is it will be more expensive if I do drop it. I hear what you’re saying about Amazon, and there’s definitely an argument there. I did wonder if I should balance my post with comments about other similar electronic reading devices/apps, for example Kobo. But I’ve not enough experience of them to do them justice.